Of the Christian holy days, Easter is my absolute favorite. The music is loud (and we know I love some loud music), the words are triumphant, the flowers are fresh and blooming for Springtime, and there is the incredible joy of the resurrection. But Lent is heavy, Y’all. This six-week journey to the cross is draining. It’s a 2,000-year-old story, so it’s not like there are any surprises coming our way. We know what to expect. We know the meal of Maundy Thursday, we know the grief of Good Friday, we know the solemnity of the Saturday where hope must have seemed lost, and we certainly know the exuberance of Easter Sunday. 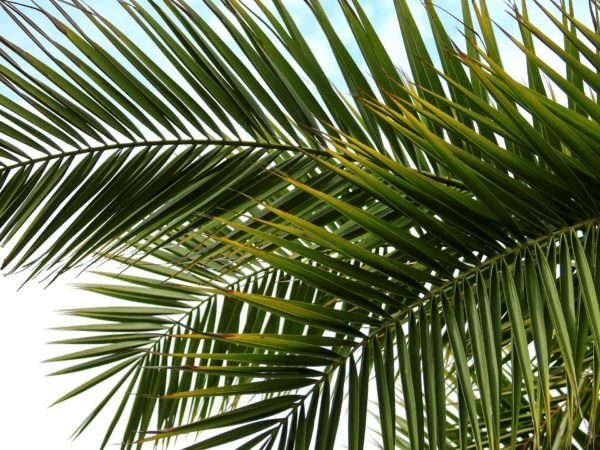 Palm Sunday marks the beginning of Holy Week, and the beginning of the end of Lent. It’s a confusing day for me. Is it a happy day? Sad day? I know I love the music. I love the image of Jesus riding into Jerusalem on a donkey, an animal of peace, and as he’s riding into town the people shout “Hosanna!” Don’t you wish people would get that excited when you rode into town? It starts off with joy! But the irony isn’t lost on us. Again, no spoilers here since it’s an ancient story, so we know that as Jesus is riding in, he must be thinking of his impending death. The betrayal. The pain, the agony, the suffering, the blood, the nails, the splinters, the weight of the cross. So again… is it a happy or sad day? I like to think of it as a happy day. I suppose you can look at it from the view of “the people didn’t know what was going to happen” and think of that joy. But we know how the story ends. We know the death. But we also know the triumph over death and we know the new, everlasting life that awaits. It’s a good story, Y’all! P.S. 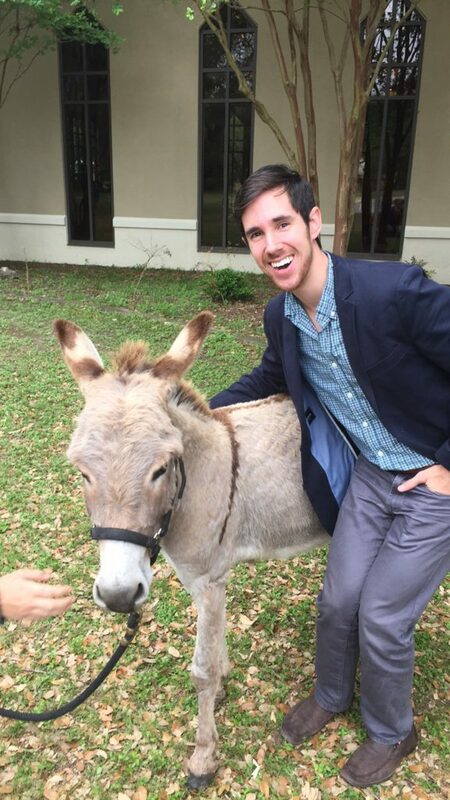 Here’s a photo of me with a donkey from Palm Sunday a few years ago. Look how happy I am!! !